The prior three Diary of a Wimpy Kid movies, based on Jeff Kinney's books that mixed handwritten diary entries from the main character with simple cartoon drawings, were entertaining affairs. They had managed to do one per year, but as often happens the cast simply got too old for their middle-school level roles. One of the extras on the Dog Days disc had author Kinney wondering whether that would be the last movie in the series or if they could pull off any more. Although the books seem to stay in the same general time period and not have the characters age much, I would've liked to have seen how Greg and friends fared in high school and beyond. Doing an entire movie in animated form, in the style of the few animated bits interspersed throughout the movies, would have been a neat idea as well and allowed things to be far closer to the style of the books- it's said that this was actually considered, but we've instead ended up with another live-action movie with the roles completely recast with younger actors. Many of the off-screen credits, including writer Kinney and director David Bowers remained the same however so the idea seemed promising to those who liked the previous movies. Reactions to the trailer were generally negative amongst fans however. It seemed most of them simply wouldn't accept a new cast, despite Greg Heffley remaining in middle school while actor Zachary Gordon is now college-aged. Some were even posting the "hashtag" #notmyrodrick in reference to Charlie Wright taking the place of Devon Bostick as Greg's degenerate older brother. Still, I thought the movie still had promise- after all the role of James Bond has been re-cast several times. With the new cast, this entry applies the classic road trip comedy formula. 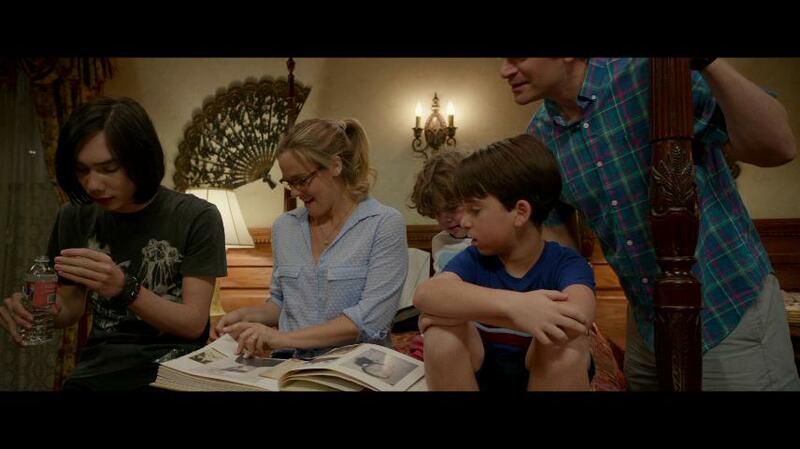 It's summer vacation again, and Greg's parents (Alicia Silverstone and Tom Everett Scott) announce that the family will be driving a few hundred miles to visit "Meemaw" in Indiana for her 90th birthday celebration, which their relatives have decided to make a big family reunion out of. The plan is to have some nice family bonding time in the car and see some of the sights along the way, but of course in this type of story a few things don't go as planned. Greg (Jason Drucker) even comes up with a scheme to get to a big video game convention also happening in Indiana by re-programming the van's GPS system when mom and dad aren't looking. Another road trip comedy staple also comes into play, a family of sloppy rednecks who seem to be traveling the same route who are run into a number of times with increasingly awkward results. I felt a bit old seeing Alicia Silverstone playing a mother, after ogling her in her earlier movies like The Crush and Hideaway. Compared to Rachael Harris in the same role in the previous three movies, she comes across as a far worse mother and wife here as well, and begins setting this entry's generally unpleasant tone. While before she was annoying her kids with the usual "mom things" like getting them to eat healthy and do more enlightening things than play video games, here as soon as the van hits the road for Indiana she announces to not just the kids but Dad as well that this will be an "unplugged" trip meaning no use of cell phones or other electronic gizmos, period. Well, maybe except for the GPS- but she's brought a paper map along also. Not only does that make this hell on the kids, but it means that Dad isn't supposed to even call in to his employer, who he hasn't even been able to get any vacation time from and has to keep coming up with reasons why he won't be showing up for work the next couple of weeks. One gets the feeling he's doing a lot of this against his will just to avoid making his wife upset, which seems that the family dynamic isn't too healthy here. In one scene he even has to sneak off with the laptop just to do some work-related stuff without her catching him- as if she'd be any happier if he found himself unemployed. Steve Zahn wasn't the world's greatest dad in the prior movies, but at least he wasn't serving as his wife's doormat. 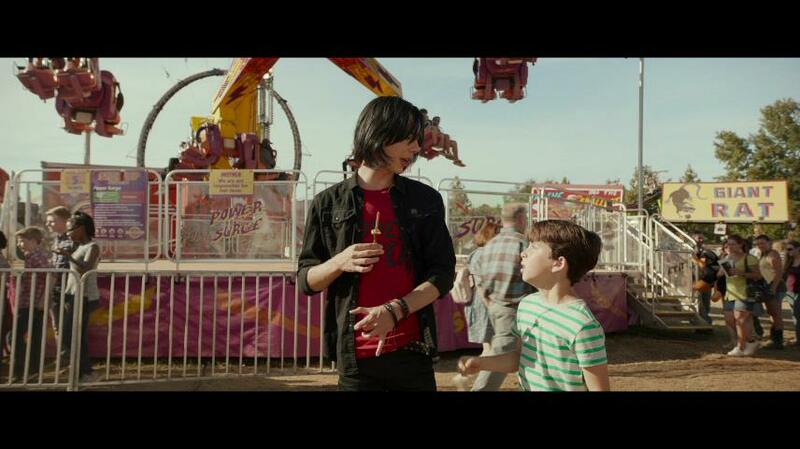 The dynamic between Greg and older brother Rodrick is about the same here, but Charlie Wright plays him more one-dimensionally than Devon Bostick did. In the past movies Rodrick was kind of mean to his brother but it was still done mostly in a way audiences could laugh at rather than cringe. Here he's written much more dim-witted, doing things like mistaking a motel room's safe for a microwave and shoving a frozen pizza in it, and after even-younger brother Manny (Dylan and Wyatt Walters) wins a pet piglet at a county fair the family stops at, he speculates that they'll be able to get bacon from it every morning. He doesn't quite antagonize Greg as much here, but doesn't even seem to have the brain power to do so. As Greg, Jason Drucker does a decent job and seems to have studied Zachary Gordon's prior performances even though the script here doesn't give him as much to do. Given that the Heffley family is out on the road, this entry is most lacking from the absence of Greg's friends and classmates. Best friend Rowley (played here by Owen Asztalos) is only seen briefly near the beginning and end, and the other kids like Fregley don't even show up here. The bulk of the story is focused just on the Heffley family, and compared to the last three movies they seem to have a few issues here. This sort of helps the cause of the story as it puts them in a number of quite awful situations, such as winding up in a roach-infested motel and having a number of vehicle breakdowns, one of which results in them getting covered in mud. I liked these characters enough from the first movies that it was almost a bit painful seeing them in such predicaments, but then thinking about the way they're played here I figured maybe these versions of them deserved a bit of misfortune. The past three Wimpy Kid movies were shot on genuine film, but this one has been "captured" via Alexa digital equipment instead, although there's a slight bit of film grain that seems to have been added which almost passes it off as film. The 2.35 ratio picture is very good looking, almost better than this movie deserves to look but that's one thing it's got going for it. Details are very sharp with bright colors in most scenes- although Fox didn't release this on 4K disc the Blu-Ray hardly asks for a better picture. A standard DVD is also included which should have you screaming for the Blu-Ray immediately, it shows worse than average compression. It seems that a number of recent movies are now getting 7.1 sound mixes if not full-blown Atmos, even if the material doesn't really call for it. The 7.1 DTS Master Audio track (5.1 Dolby Digital on the DVD) here is clear but uses the surrounds quite sparingly- they almost don't seem to be there at all but they are used a bit in a scene involving a carnival ride and add a few ambient sounds at some points. Both discs also include a descriptive audio track as well as dubs in French (real Parisian French as opposed to Canadian according to the packaging) and Spanish, with subtitles in all three languages plus standard closed captions on the DVD. Both discs include extras running close to an hour altogether, more than those of the last three movies. "Making a Scene" dives into how the pet pig was handled (a number of real ones were used but there was also an animatronic for the less humane conditions it's put through), the scene shot on the spinning fair ride most of which was actually done for real on the ride, and where the family has their van invaded by seagulls. 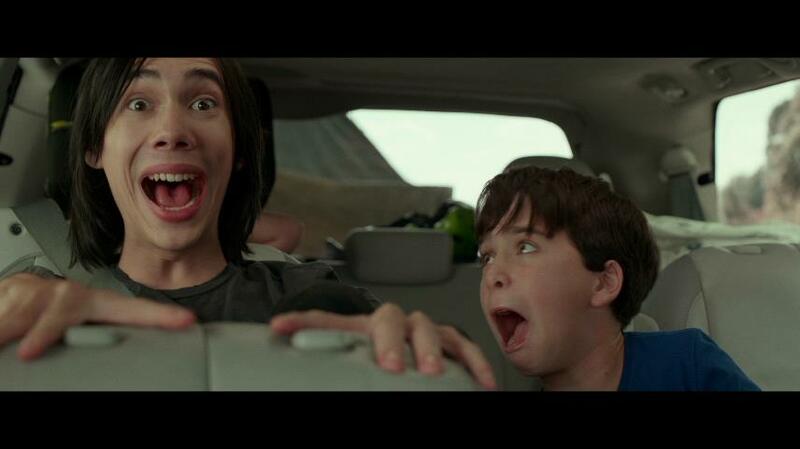 "Greg Heffley's Ten Rules for the Perfect Road Trip" has him narrating a few clips from the movie putting a more positive spin on things, "Road Games" harkens back to the glory days of DVD with ideas for boredom-killing things for kids to do on a family road trip, and a montage of bloopers and deleted scenes is done rather uniquely with the both of them edited together in rapid fire. There's also some unused animation and a segment called "Haulin' Through Georgia" where the cast and crew reflects on how that state provided all the locations they needed for the movie without traveling to too many different places. Finally there's a still gallery of production photos, "Learn to Draw" with Jeff Kinney showing us how to draw the main characters, and "A Decade of Wimpy Fun" which looks back on the history of the Wimpy Kid books and movies, with clips from those making me wish this one had turned out as well as they did. The theatrical trailer plus ones for The Boss Baby, Captain Underpants and Ferdinand are also included, plus the current "Digital HD" promo that Fox has been putting on its discs lately. 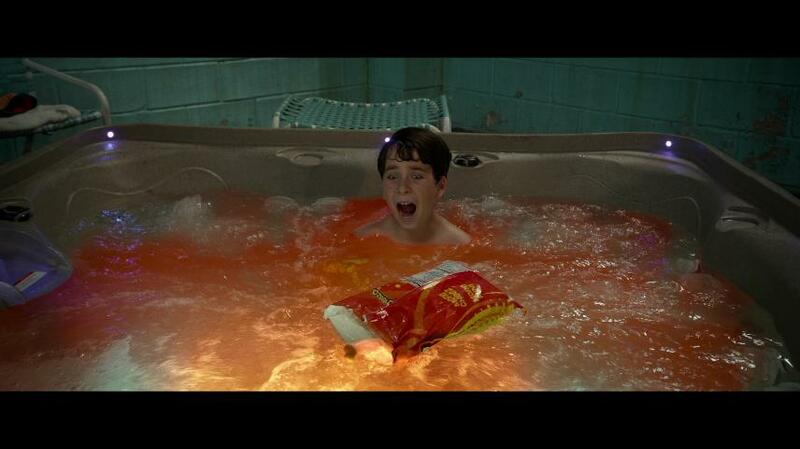 Speaking of which, you not only get a redemption code for an Ultraviolet copy of this movie but also for the first Diary of a Wimpy Kid if you don't have that already. Having enjoyed the previous Wimpy Kid movies I really wanted to like this one as well, giving the new cast a chance to do things their way and figuring that was better than having no more films at all given that the original cast had outgrown their roles. However despite Jeff Kinney himself having co-written the screenplay, the family as played here is pretty unlikeable and I'd almost expect Greg to be dealing with his parents' divorce if there's another movie after this one. It's always tricky with a comedy that puts its characters through unpleasant situations, ones that pull it off right have you laughing at or with them but this one mostly just makes you feel their agony. Maybe this all worked much better in cartoon form- I'd still like to see more movies in this series but to most fans this one is a let-down.